David S. Ware made a mighty sound, and was one of those musicians whose soulfulness was evident in every note he played. At times, he seemed to be indomitable. I saw him once at the Victoriaville festival just after the taxi cab he drove had been broadsided in an accident. Ware was on crutches, and in obvious pain, but he put everything he had into his playing. He always did. The fact that he seemed to rebound from a kidney transplant was no surprise, but in the end he couldn't beat the disease. 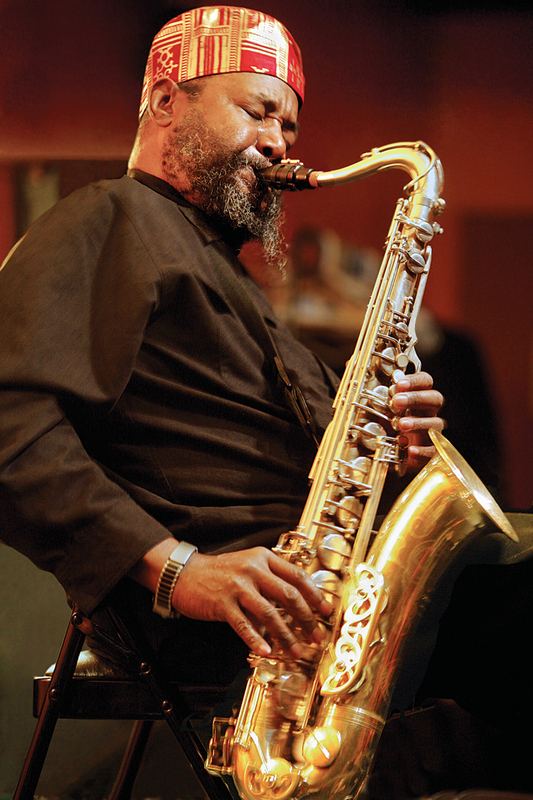 There is a big outpouring of love for Ware around social media today, and I believe a large part of the connection people felt to him was the fact that he was a bridge to the giants (John Coltrane and Albert Ayler) that many of us didn't get to see in their prime. Ware was a worthy heir to their no-holds-barred sonic attack, and he attracted a large number of young fans who grew up listening to various genres of electric rock music. He welcomed them all, and introduced them to young musicians like Matthew Shipp and Susie Ibarra, helping to propel their careers into a broader realm. David S. Ware: Big spirit. You will be missed.